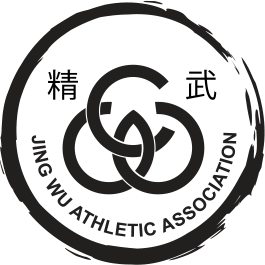 Jingwu Sports Training Center (Chin Woo Athletic Association )(精武体育会; lit. Elite Martial Athletic Association) is a Chinese martial arts association founded in Shanghai on July 7, 1910, but conflicting sources also cite dates in 1909. It can be found spelled in many ways - Jing Mo, Ching Wu, Jing Wo, Jing Wu etc. Many sources, including the movie "Fearless" starring Jet Li, say that Chin Woo was founded by Huo Yuanjia (霍元甲), Huo was a famed challenge fighter who died within months of its establishment. This gives the false impression that only one person founded the entire association when in reality it was founded by a committee of people. Due to Huo Yuanjia's popularity and recent death, the committee had decided that he should be the "face" of Chin Woo, resulting in his strong association with it. Because Huo was widely admired as a Chinese national hero, a series of other masters agreed to teach at the school including Eagle Claw master Chen Zizheng (陳子正), Seven Star Praying Mantis (七星螳螂拳) master Luo Guangyu (罗光玉), Xingyi (形意拳) master Zhao Lianhe (赵连和), and Wu Jianquan (吴鉴泉), the founder of Wu style Taijiquan (吴式太极拳). Master Chao Lianhe, a master of Northern Shaolin Bizong Style became the Chief Instructor after the sudden death of Huo. 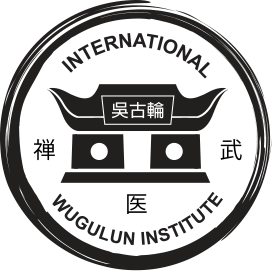 One of the first public martial arts institutes in China, Chin Woo was intended to create a structured environment for teaching and learning martial arts as opposed to the secretive training that had been common in the past. The Chin Woo was also used as a training center for the Nationalist Party members to fight against the rise of Communism in China. The founders of Chin Woo felt that the association would keep alive traditions that secrecy and social change would otherwise doom. 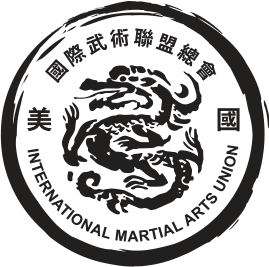 The basic curriculum drew from several styles of martial arts, giving practitioners a well-rounded martial background in addition to whatever they wished to specialize in. 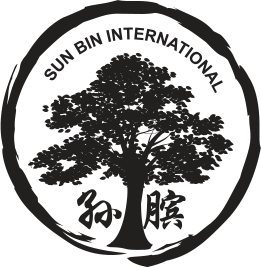 The Chin Woo Association inspired the ecumenism seen in the Chinese martial arts community during the Republic of China giving rise to such efforts as the National Martial Arts Institutes. Sun Yat Sen (孙逸仙), founder of the Republic of China, attended the third annual event held by Chin Woo in 1915, giving a speech of encouragement to the attendees. When Sun Yat Sen attended again at the 10th annual event in 1920, he also wrote for a special Chin Woo newsletter and made a plaque with the engraving "martial spirit". Shut down by the government of the People's Republic of China in 1966, the Chin Woo Association was allowed to re-open after the Cultural Revolution, and currently has more than 150 branches around the world. Chin woo athletic federation this is one of the federation that it is being show up in a lot of different kung fu movie. Doesn’t matter it is jet li, bruce lee, jacket chen or any other kung fu movie start they all play a movie that have something to do with the federation. so why chin woo it is so important about it, so they keep making the movie with it. Chin woo it start at the year 1910, the purpose it is to promote the Chinese martial art. At the year 1916 chin woo start to being powerful and strong so they start to sending their five special envoy to the south Asian country’s to development the chin woo. The year 1925 to 1948 it is a difficulties and maintain time for chin woo, this is the time china have the civil war and the world war two Japanese attack. Doing this time chin woo’s build got taking away by the Japanese military, and because the war all the hospital and the military need the most help it can, chin woo doing this time us all the power, money, and people it have to help the people that need it help with. Join the military join the hospital to help save more people. At the year 1949 to 1996 this is the time chin woo are recovery from the war and the culture revolution. A lot of people are miss understand by the movie about the chin woo athletic federation. this federation did not start by the huo yuan jia. Master huo it is just the master of all the coaches. The real founder it is chen qi mei and nong ji sun. Chin woo have a great martial art system, it have all the basic from and all the way up to the hard and high skill form. The chin woo federation it take the people’s morality very important. It is not just focused on the kung fu and any other sports. Chin woo it is also the fist federation that in china that 100 % public support female to practice kung fu and play sport. Also chin woo it is one of the school that support to be open mind it to teach all the different kind of martial art, chin woo don’t wont people just stock in once style. In the martial art history one of the top secret martial art in chin woo it is call mi zong quan. You can hear that from a lot of the movie. But what is mi zong come from it is the master huo’s family special system. The meaning of the mi zong means lost or lost track. It is also have all the different styles ideas and good part about it in there add it by the master huo. Chin woo it is not a very old federation it just pass the 100 years birthday, but the spirit it is one of the things that we are look for it, and the martial art it is also have a great and clear system that we are happy and honor to work and teach it.